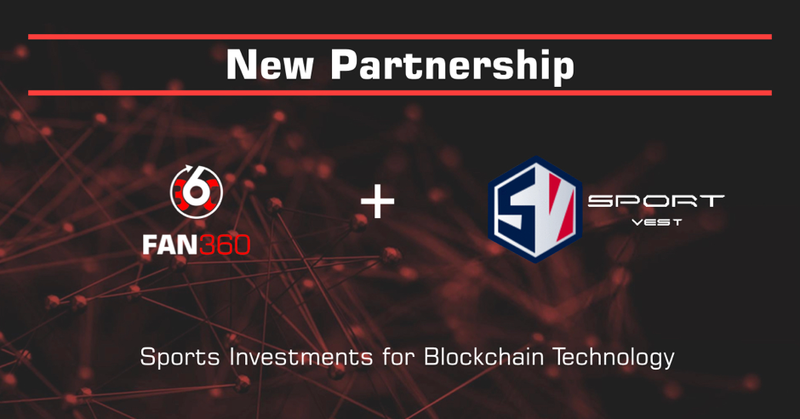 SportVEST and Fan360, two ground-breaking sports blockchain platforms, that seek to derive more value from the enormous business of sports, formed a partnership. This is built on common understanding, that this industry holds massive potential with new technologies, that will remain unrealised without them. Fan360 is deepening and enhancing the relationship between fans, clubs and brands. It’s a blockchain based platform, that consolidates digital news, updates and information sources on the sports entities, delivering this to users and rewarding them for the engagement. SportVEST, on the other hand, based on the same technology, aims to democratize and simplify investments into sports startups, which have difficulties finding support within the more traditional business environments and sources. The vision of blockchain supported sports value chain is what joins SportVEST and Fan360, who both remain convinced that traditional plays don’t always work best for the teams of the future. At SportVEST, we’re proud to be part of this common story. Read more about SportVEST and Fan360. Don’t forget to follow SportVEST and Fan360 on Twitter!